Did you know that today is the International Day of Happiness? Well, according to the United Nations it is. Since 2013, the UN has celebrated March 20 as a way to recognise the importance of happiness in the lives of people around the world. For UNESCO, among the things that bring happiness and joy to our world are Quality of Education, Freedom of Expression, and Healthy Oceans. The report analyses 156 countries’ happiness in terms of GDP per capita (income), social support, healthy life expectancy, freedom, generosity, and absence of corruption. 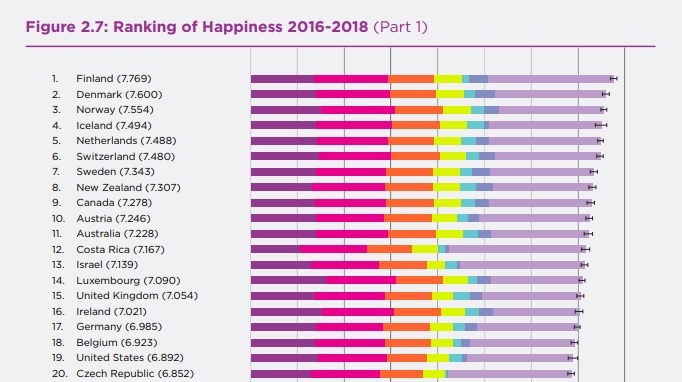 Ireland is the 16th happiest country in the world according to the 2019 Report. Finland came first this year, holding its position for a consecutive year. While Norway and Denmark swapped second and third place in comparison to last year’s report. These countries are typically affected by a combination of economic, political and social stresses. Praise and encourage rather than criticise. Teach, show and practise empathy. Do more together as a family. Build quality relationships with those in your support network. Create a “no-phone zone” for at least a few hours. So, in today’s world, with social media becoming all-consuming, we are to be remembered that community matters and that it is important to make an effort to increase real-world connections. Some of the initiatives we encourage you to take are connecting with others in your community and making life happier where you are and, getting daily inspiration by the Action for Happiness team. We would like to know how you are celebrating the International Day of Happiness.